The Maritime Speaker Series continues at the Door County Maritime Museum in Sturgeon Bay. Join Wisconsin independent filmmaker Jake Heffernan for a rare look inside Door County’s historic lighthouses. Jake will share his experiences and the exclusive images taken of the lighthouses during the production of his documentary film Lighting the Door. 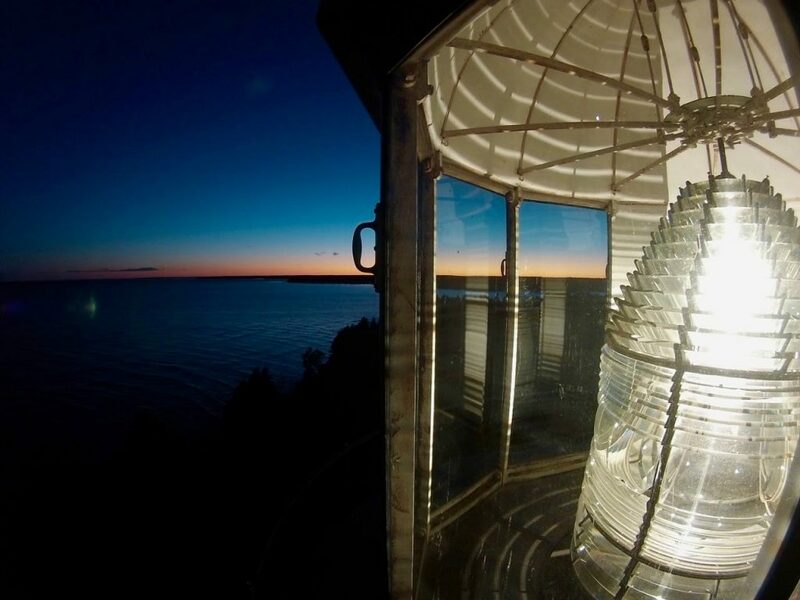 His presentation will feature his experiences while filming the eleven Door County lighthouses, including his amazing opportunity to spend the night at several area lighthouses. 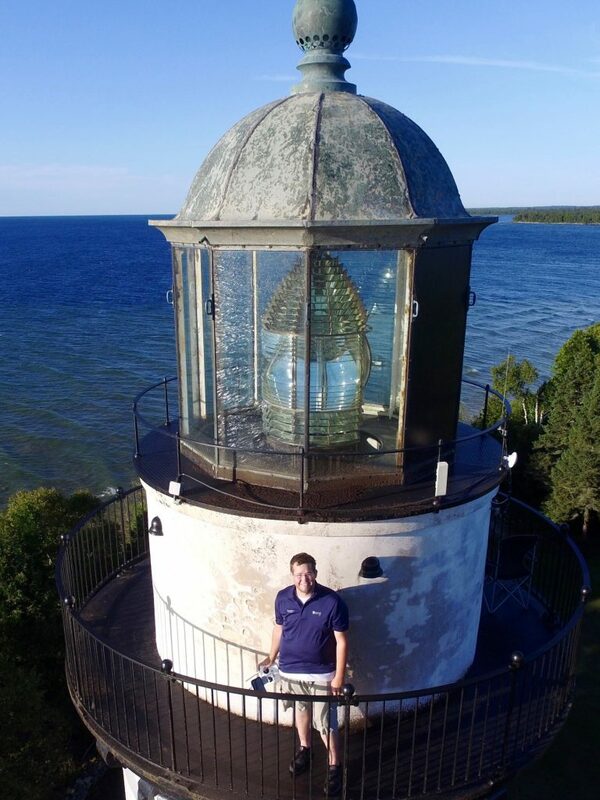 Jake Heffernan is a Great Lakes maritime historian and producer of Lighting the Door, a documentary about the eleven lighthouses of Door County, set to premiere summer 2019. He was raised in Green Bay, spending much of his childhood at the family cottage in Dyckesville and taking many trips to Door County. What started as a plan to make a film using drones to capture breathtaking views of the outside of each structure, quickly shifted to a more in-depth documentary focus on lighthouse preservation. On February 25th, he’ll share some experiences he had while filming, including sleeping at the top of Cana Island’s lighthouse tower, and an overnight camping trip on Plum Island that included filming interior video of the abandoned and dangerous Keeper’s Quarters. He’ll also share his experience traveling to the Waugoshance and White Shoal lighthouses in the Straits of Mackinaw. The Maritime Speaker Series offers an assortment of monthly programs dealing with everything from historical topics to current issues affecting the Great Lakes and the economy that relies on them. The programs are held the first Thursday of each month November through April beginning at 7pm. The Maritime Speaker Series is held in the Reddin Bridge Room at the Door County Maritime Museum in Sturgeon Bay. Admission is free of charge with a suggested non-perishable food donation. Visit www.DCMM.org to learn more about the upcoming Maritime Speaker Series, or visit www.quarterdeckmedia.com to learn more about the film.